Can Don Butler succeed after many have failed? 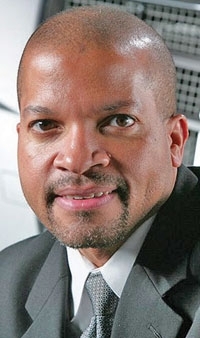 DETROIT -- Chat with Cadillac marketing chief Don Butler and you don't sense that this is a man with the weight of an iconic, 110-year-old brand on his shoulders. The affable 48-year-old is quick with a smile and a booming laugh. But his easygoing demeanor belies the pressure that comes with mounting expectations heaped on Cadillac -- and Butler -- by his bosses. Last month, General Motors CEO Dan Akerson declared his goal of quadrupling annual Cadillac sales in China to more than 150,000 units by 2018. Mark Reuss, GM's president of North America and the one who hired Butler, plugs the upcoming ATS sports sedan as built to "win" against the BMW 3 series, long the juggernaut of the luxury compact market. "I have the easiest job in the world," he says. "I just need to get people to try the product." That has been a difficult task for a long list of Cadillac marketers. Over the past decade, Cadillac has struggled to broaden its appeal beyond its loyal core of affluent 60-something buyers, even after vastly improving its lineup over that time. Cadillac's trucks have had some success. In 2009, a popular redesign of the SRX crossover ignited sales. Before that, the bling-laden Escalade SUV scored with rappers and other celebrities. But younger, import-minded buyers largely have stayed away from Cadillac's cars, even though GM moved the CTS sedan to a rear-wheel-drive platform and added the V-series line of performance cars. Now, GM execs believe that Cadillac's first new nameplates in a decade will put the brand closer to competing head-to-head with BMW, Mercedes-Benz and Audi. Butler's job is to persuade buyers to at least take a peek at the XTS large sedan, which arrives in showrooms this month, and the ATS, due by late summer. The marketing efforts around the two launches amount to nothing short of a "relaunch" of the Cadillac brand, says Pat Fallon, chairman of Fallon Worldwide, the Minneapolis agency that produces Cadillac's creative work. "It's a brand that has some momentum, but it's at the front end of some massive change," Fallon says. "Don is directing that, from product planning and launch planning to paid advertising and social. He's really involved across the board in what we consider to be a relaunch" of the brand. As a GM lifer except for a brief stint with telematics startup Inrix Inc., Butler has seen plenty of marketing plans built around vehicles that he admits "didn't really live up to what we promised in the advertising." That's why Butler plans to banish the "smoke and mirrors" and instead pinpoint attributes that should convince would-be buyers that this isn't their father's Cadillac. For example, some ATS spots likely will boast that it's the lightest car among luxury compacts, which aids fuel economy and handling. "We have to approach this as the spirited challenger. What is going to get people to notice, to pay attention to Cadillac?" Butler says. "In terms of the execution, it's going to be some pretty bold stuff." That product focus is evident in commercials that have just started to run for the two cars. The first spot for the XTS, which Cadillac is positioning as a large luxury sedan packed with safety features and technology, features what Cadillac calls the car's industry-first "safety alert" seat, which vibrates to warn of a pending collision. An ATS commercial that ran during the Super Bowl showed the car lapping the famous Nurburgring test course in Germany. The voiceover says it's "built from the ground up to take on the BMW 3 series." Butler and Fallon promise to inject more emotion and more people in future spots. Expect the car to be featured in iconic settings around the world, an effort aimed at lending global cachet to a brand that is not quite global yet. Butler, an engineer with a Harvard M.B.A., joined GM in 1981 as a co-op student. As an electrical engineer, he worked on the 1990 Corvette's cruise-control and antilock brake systems. Since then, he has had a circuitous route through the GM hierarchy. He had the thankless task of leading marketing for the Pontiac Aztek, the 2001 crossover that was universally panned as ugly. In 2005-07, he ran GM's operations in Egypt, with responsibility for everything from manufacturing to marketing. He also led business strategy for GM's OnStar telematics unit. Growing up, Butler moved often because of his father's job as a training specialist in the Air Force; his mother was a junior high English teacher. Butler spent five years in Germany, until age 16. In 1981, soon after his family moved to a town near St. Louis, Butler went on a recruiting trip to the former General Motors Institute in Flint, Mich., now Kettering University. During his visit to the Pontiac division, he was shown a prototype of the Fiero sports car, with its spaceframe construction and plastic body panels. "I was 16 and thinking to myself, 'Are you kidding me? I can be a part of this business? Cool. Sign me up,'" Butler recalls. Butler stops short of calling himself a car guy, but often draws on his engineering and product background. He regularly attends product planning and design reviews at GM's design center. "He has an unusually solid knowledge of new product and an engaging way of presenting" vehicles, says Carl Sewell, co-chairman of Cadillac's National Dealer Council and owner of four Cadillac stores in Texas. As if Butler isn't under enough pressure, Sewell adds: "There's so much anticipation for these two new vehicles. The expectations for the marketing are every bit as high as the expectations for the cars themselves."